When it comes to adding permanent and semi-permanent features to your property, it helps to have a professional team at your side. McAfee Mowing and Landscaping, Inc is there for you from beginning to end, handling the design, planning, and installation processes. We specialize in landscape construction in Kentucky, and we’re ready to undertake residential and commercial projects. Reach out today to discuss your ideas with a member of our team. As longtime landscapers, we believe that everyone deserves a lawn that represents their personal images. That’s why we strive to tailor our services to your needs as a homeowner or business owner. If you’re unsure what’s right for your landscape, don’t hesitate to ask our contractors for guidance. Like most people, you’ve heard of landscaping. However, you may not have heard of the two categories within landscaping: softscaping and hardscaping. 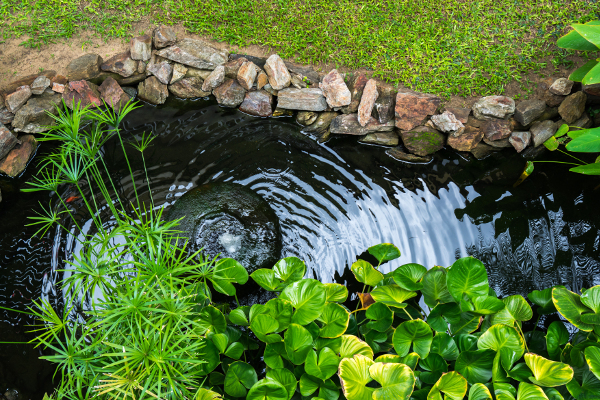 The term softscaping refers to landscaping services that involve fluid design elements that change over time: plants, for example, including flowers, trees, and rain gardens. These features are also generally easy to alter or move. On the other hand, the term hardscaping refers to semi-permanent fixtures: patios, retaining walls, and irrigation, for example. These items require careful planning and installation, as once they’re on your property, they can be difficult to move or remove. 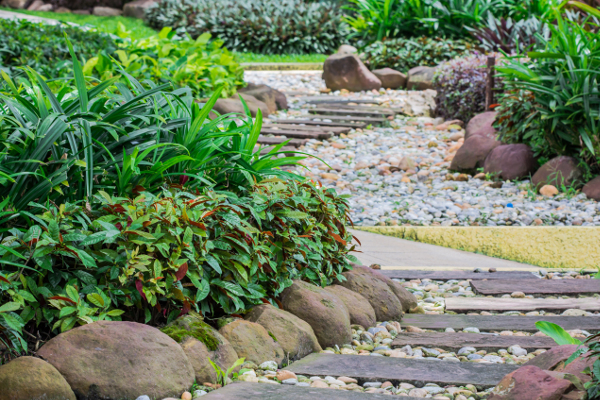 The good news is that, in general, most hardscaping features add beauty and value to your property, making them popular with homeowners and businesses alike. Contact our landscape construction crew to find out how we can help with hardscaping features on your property. We proudly serve clients throughout Central Kentucky.